Updates in Pediatrics is distributed weekly via e mail and provides concise information about a broad range of current pediatric topics to enhance the education of practicing primary care pediatricians. The digital version of Updates in Pediatrics commenced publication in the late winter of 2010. The newsletter is a joint venture of Miami Children's Hospital and FHIcommunications and boasts almost 5,000 readers. The publication's first ever Primary Readership Study was conducted in February, 2014. "We couldn't be more pleased with the results" stated Editor Jack Wolfsdorf, MD, FAAP. "We knew we were heading in the right direction based on audience growth and engagement metrics; this study reinforces those findings and, in fact, exceeded our expectations" he added. The results of the study can be viewed HERE. Mednax has already made its third medical practice acquisition of 2014. The Sunrise-based company (NYSE: MD) bought Greensboro, N.C.-based Piedmont Neonatology for an undisclosed cash sum. Its six neonatologists will become part of Mednax's Pediatrix Medical Group Division. 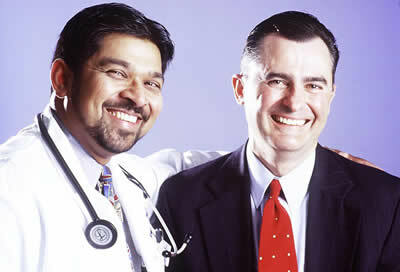 Mednax is led by Roger Medel, MD. Miami Children's Hospital, which last year launched a line of kid's consumer products called KidzStuff, has scored a deal with Walmart to carry its infant and children's clothes on the retailer's website. "If the products do well, we hope to get space in their stores," said KidzStuff's Logistics and Retail Operations Lead Debbie DaSilva. The two products to be featured on the Walmart website are a baby romper designed to protect the child from sun exposure and a similar outfit with a patent-pending insect repellant, each costing $19.99. Entitled Limited Resources, Unlimited Hope: Addressing the Dual Diagnosis of Mental Illness and Substance Abuse, the program was held Tues. March 4, 7:30-9:30 am at Park Shore Pharmacon in Hallandale Beach. Opening Remarks were provided by South Florida Business Journal Reporter and Author Brian Bandell. The Title Sponsor was Destination Hope. View 2014 Healthcare Roundtable Schedule HERE.